Few works of scholarship have so comprehensively recast an existing debate as Chinua Achebe’s essay on Joseph Conrad's Heart of Darkness. Achebe – a highly distinguished Nigerian novelist and university teacher – looked with fresh eyes at a novel that was set in Africa, but in which Africans appear only as onlookers or as indistinguishable "savages". Dismissing the prevailing portrayal of Joseph Conrad as a liberal hero whose anti-imperialist views insulated him from significant criticism, Achebe re-cast the Polish author as a "bloody racist" in an analysis so cogent it changed the way in which his discipline looked not only at Conrad, but also at all works with settings indicative of racial conflict. 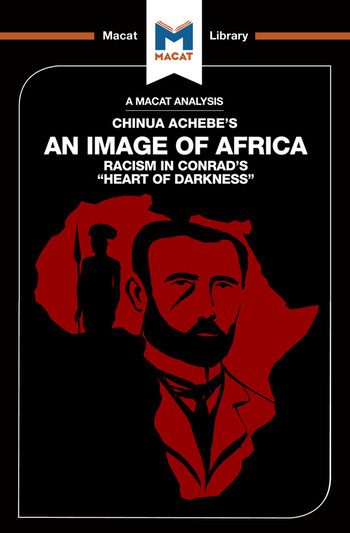 The creative contribution of Achebe’s essay lies in delving far beneath the surface of Conrad’s novel; he not only generated new and highly influential hypotheses about the author's modes of thought and motivations, but also redefined the entire debate over Heart of Darkness. Just because the novel had been accepted into the "canon", and now falls into the class of “permanent literature”, Achebe says, does not mean we should not question it closely – or criticize its author. Dr Clare Clarke holds a PhD in English Literature from Queen's University Belfast, specialising in Victorian Literature. She currently teaches Nineteenth-Century Literature at Trinity College Dublin. Dr Lindsay Scorgie-Porter is Visiting Assistant Professor in Politics at the University of Western Ontario. She holds a PhD in Politics and International Studies from the University of Cambridge and an MSc in Global Politics from the London School of Economics.